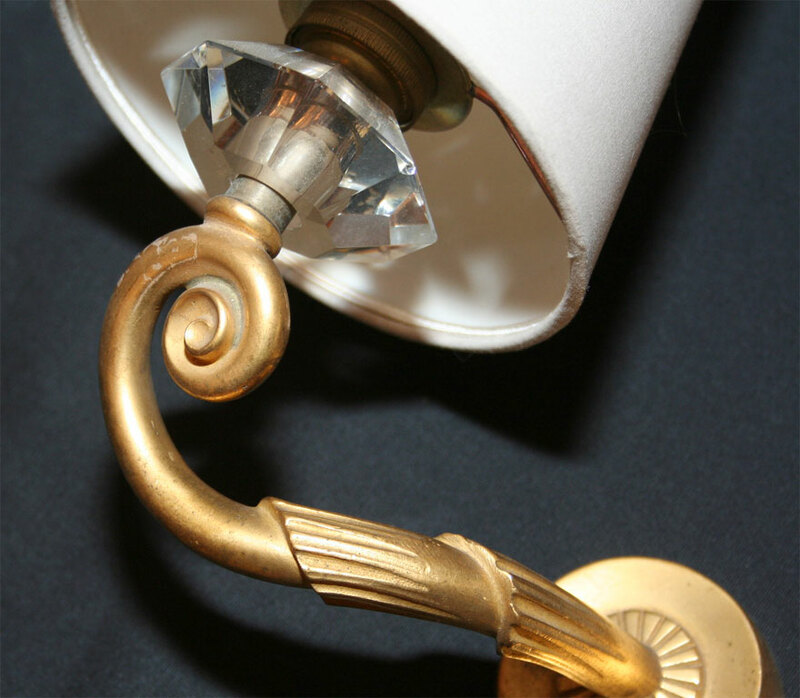 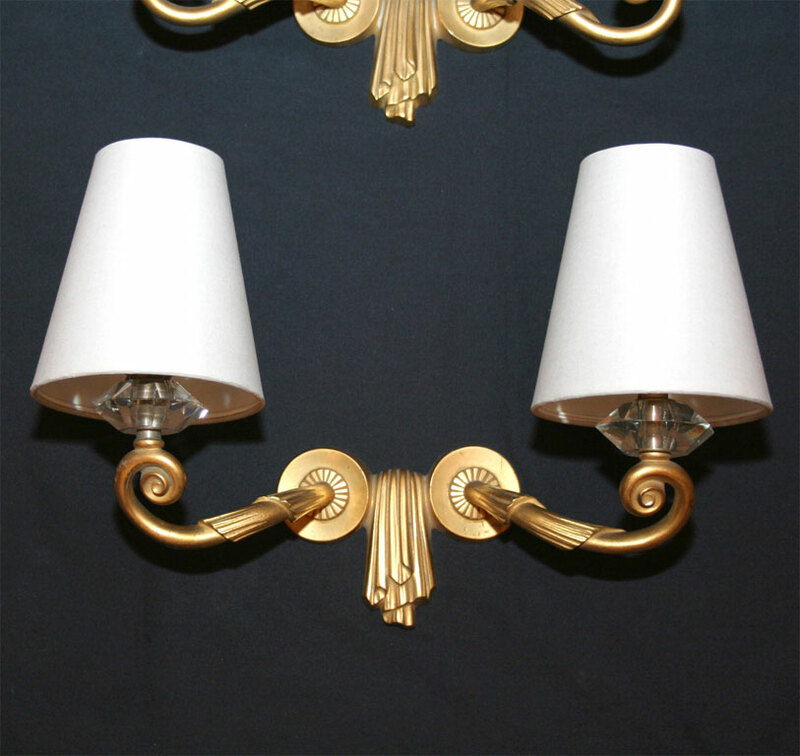 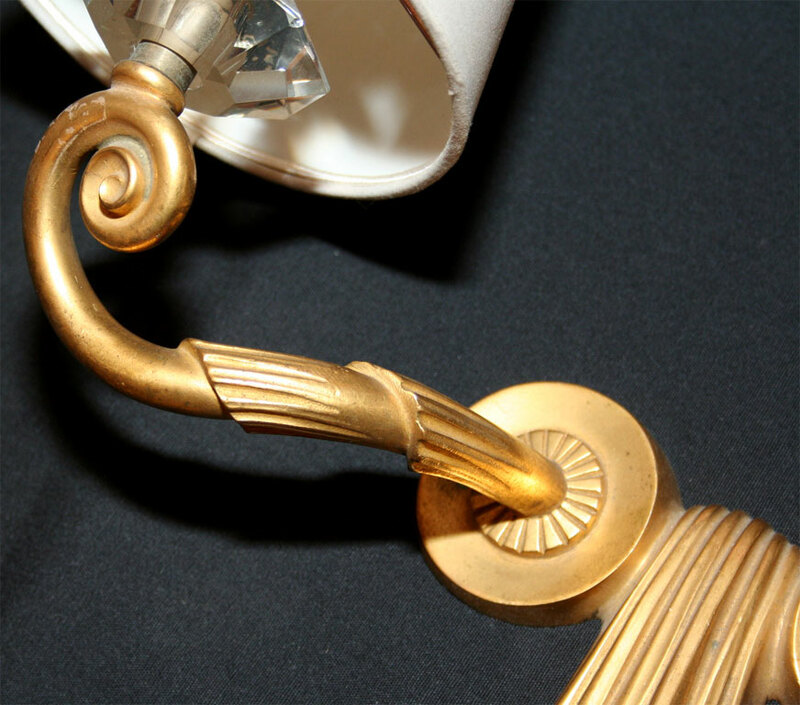 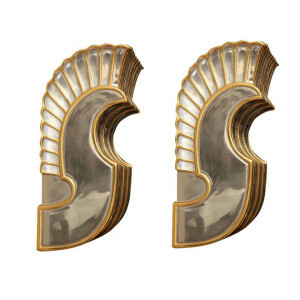 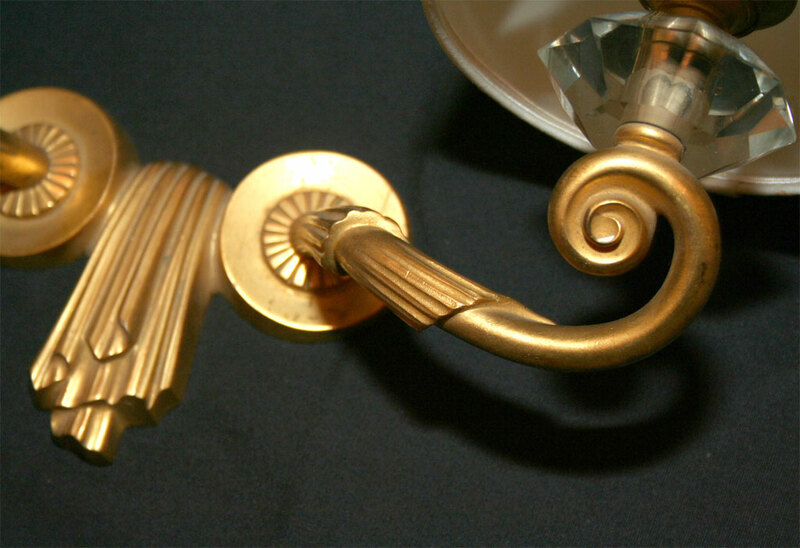 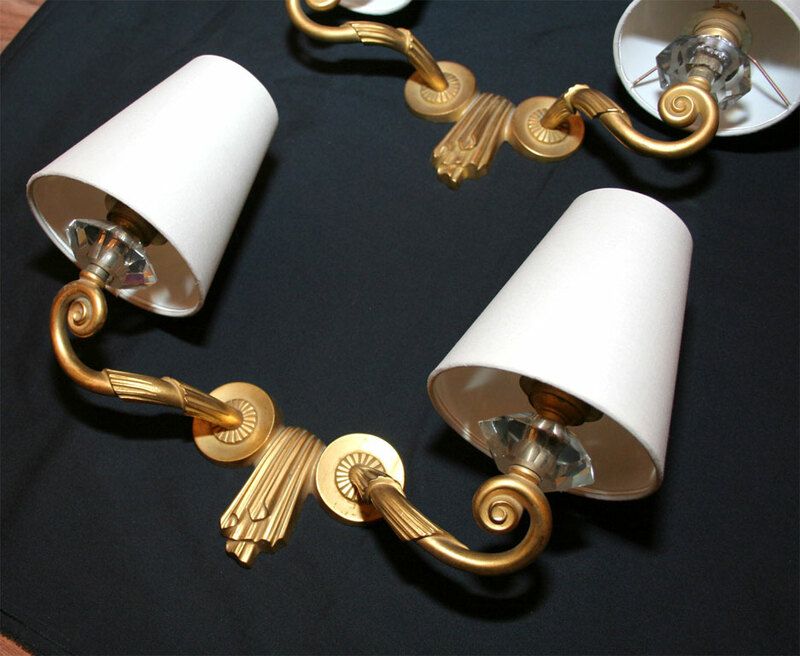 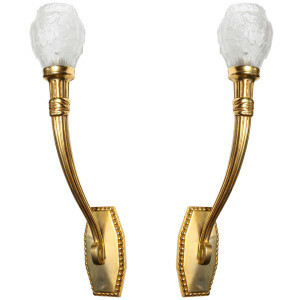 A pair of French Art Deco “Draperie” Wall Sconces by Jules Leleu, two-armed, in gilt bronze, crystal and fabric shades. 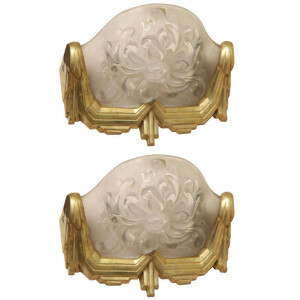 Clear and frosted glass wall sconces molded with a chrysanthemum motif, in a gilded bronze frame. 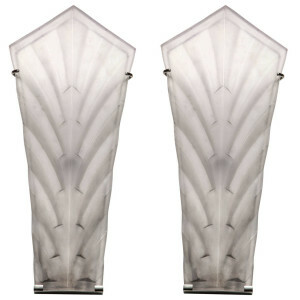 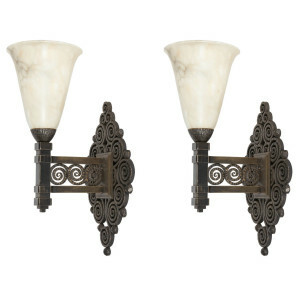 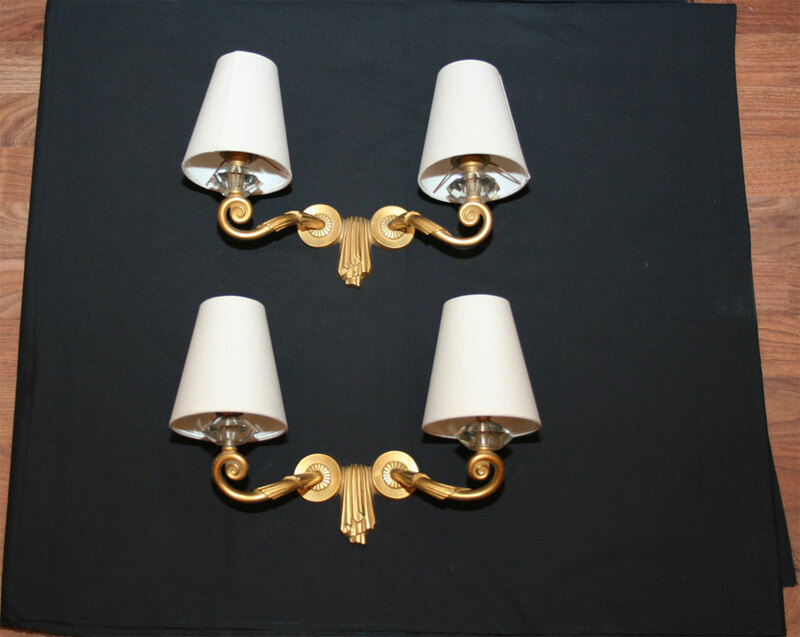 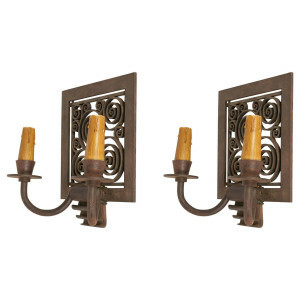 A set of five sconces available, two pairs and one double-shade sconce. 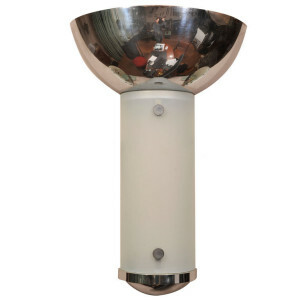 Single wall lamps : H:8 in., L: 8 2/3 in., D: 5 in. 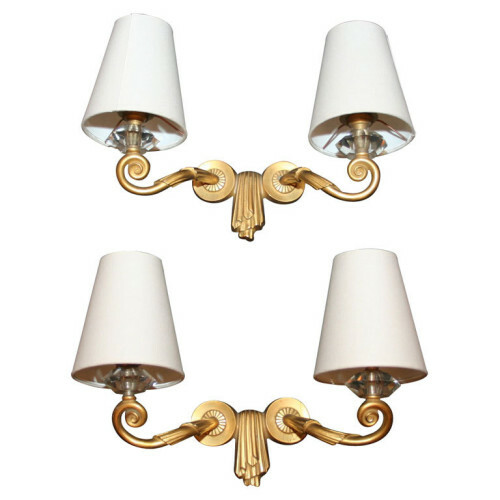 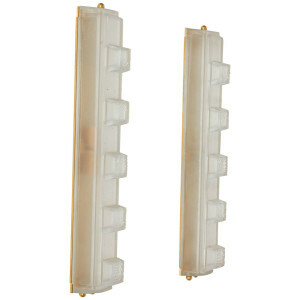 Double wall lamp : H:8 in., L: 16 ¾ in., D:5 in.